TSE 065: Learn Why Human Relationships Are At A Premium Today! 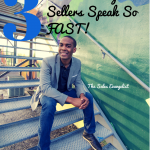 | The Sales Evangelist! TSE 065: Learn Why Human Relationships Are At A Premium Today! Home » TSE Podcast Post Page » TSE 065: Learn Why Human Relationships Are At A Premium Today! 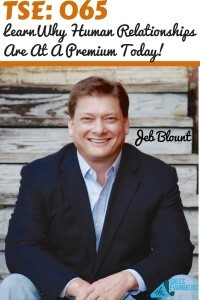 During this episode I had the great opportunity of interviewing Jeb Blount, Mr. Sales Gravy himself. Jeb founded SalesGravy.com in 2006 as a portal for all things sales. Over the next five years he and his dedicated team of sales professionals grew Sales Gravy into the most visited sales employment website on the planet. Thousands of employers connect with hundreds of thousands of top sales professionals. Today Jeb is a highly sought after speaker and corporate consultant. He is known for his ability to inspire his audiences to action and keep them on the edge of their seats. Jeb is also an author; having written five books including his bestseller People Buy You: The Real Secret to What Matters Most in Business and his newest release People Follow You: The Real Secret to What Matters Most in Leadership. Jeb has a passion for growing people and the unique ability to see potential in everyone. 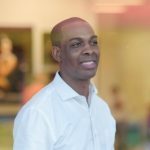 Over the span of his career he has coached, trained, and developed hundreds of Sales Professionals, managers and leaders. The way we sell has not changed, but the tools that we have to interact with each other has evolved. The sales process may be different, but we are still applying the basic things of finding pain and providing a solution for the buyer. Listen to your clients and don’t try to “pitch them”. If you listen to your clients, they will teach you how to sell to them. Pitching your product will make you look like everyone else. People will buy on emotions and then justify later with logics. “The most insatiable human need, is the need to feel important”. Have a list of Go-To-Questions that you can fall back on. Practice them over and over again so that they become internalized and become apart of you. Focus on what is most important to the buyer. Remember, “People Buy You”!